The Northshore Rotary Club is well known among Rotary clubs around the world as a leader when it comes to fundraising success. Over the past 10 years plus, the Northshore Club has raised well over $4,000,000.00, much of which has gone back into the community in the form of scholarships, community improvement projects, support for national & international projects, educational initiatives and many other worthwhile causes. Bill Palko has been a Rotarian in the Rotary Club of North Shore since June, 2005. 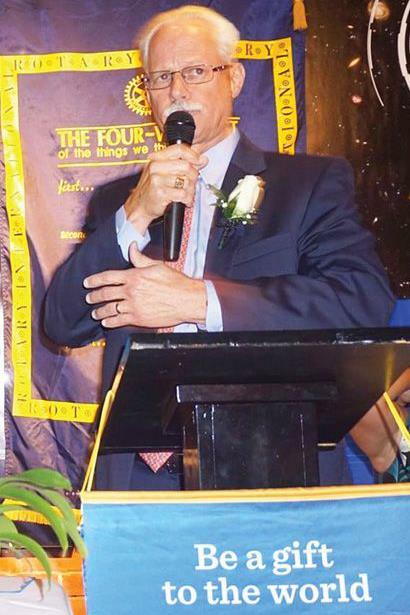 He was President in 2010-11, and was named Rotarian of the Year for the club in 2011-12. Bill was an Assistant District Governor for the years 2013-2015 and was chosen as Assistant Governor of the Year in 2013-14. Bill has been a Youth Exchange Host, a VTT host and a Friendship Exchange host. He serves on the following District committees; District Conference Committee, the ALL Club Committee and the District Finance Committee. Bill is a Major Donor and a multiple Paul Harris Fellow. He is a member of the Bequest, Paul Harris, Polio Plus and White Hat Societies. Come hear Bill reveal North Shore's formula for successful fundraising.